As humans, we understandably tend to avoid facing our inevitable mortality, but creating a basic estate plan doesn’t have to mean hours of work and expensive attorney fees. The most difficult part is organizing your thoughts to address the distribution of your assets and, if you have children, how you want them to be cared for and by whom. an Advance Directive for Healthcare with Medical Power of Attorney. If you do not have this documentation in place, do not pass go and do not collect $200. Go directly to an estate attorney and get these items drawn up stat! Even for folks who have their estate documentation in place, the topic of beneficiary designation is often overlooked or misunderstood. It is imperative to check that you’ve properly designated your beneficiaries on your IRAs, 401(k)s and life insurance policies. That’s because these assets pass directly to your named beneficiaries and are not subject to probate (i.e., they are not distributed through your will). Even if your will provides for other beneficiaries, the beneficiaries you designate on your life insurance policies, IRAs and 401(k)s are binding and they are the only beneficiaries who will receive those particular assets. Moreover, after life-changing events like the birth of a child, death of a spouse, divorce or remarriage, it’s especially important to review your beneficiary designations. You should also name a contingent beneficiary should your primary beneficiary predecease you or die at the same time as you. Furthermore, your designations should be reviewed from time to time and shared with those assisting you with your estate planning to ensure it aligns with your active estate documents. Finally, make sure you keep your estate documentation in a safe, accessible place in your home (not just a safe deposit box, because it can sometimes take a court order for someone else to access its contents). Be sure to include a schedule of your various accounts and policies with beneficiary designations along with your advisors’ contact information. It’s also wise for your advisors to maintain copies of your estate documentation and assets schedule. Putting off getting your estate documentation in place and failing to periodically review your beneficiary designations can have terrible consequences for your loved ones. Please let us know if we can help you get your financial house in order, and as always, we hope you will keep Rollins Financial in mind when seeking professional advice on financial planning and investing. 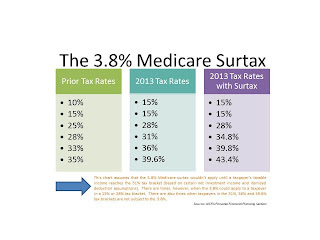 Q&A Series: The 3.8% Medicare Tax on Investment Income – START PLANNING NOW IF YOU HAVEN’T ALREADY! This week's question comes from Christine, a high-earner with a substantial investment portfolio. Q: I know we’re over halfway through the year, but I’m wondering what sort of strategy to employ regarding the Medicare tax on investment income that started at the beginning of 2013. A: We’ve always felt that tax and investment planning go hand-in-hand, Christine, so we appreciate your question. With the increase to Medicare taxes under the health care reform package of 2010 that began on January 1, 2013, there is no stronger case for cohesive tax and investment strategies. As a result of the Patient Protection and Affordable Care Act and the Health Care and Education Reconciliation Act of 2010, households with high incomes will be paying more into the Medicare system, via taxes on both earned and unearned income. To start with, the Treasury Department defines high-income households as wages, unearned income or modified adjusted gross income (“MAGI”) of more than $200,000 for single individuals and above $250,000 for married filers. MAGI is adjusted gross income increased by excludable foreign-earned income and a few other items. Beginning in 2013, workers with wages above the noted thresholds will have to pay an additional 0.9% in Medicare payroll taxes. 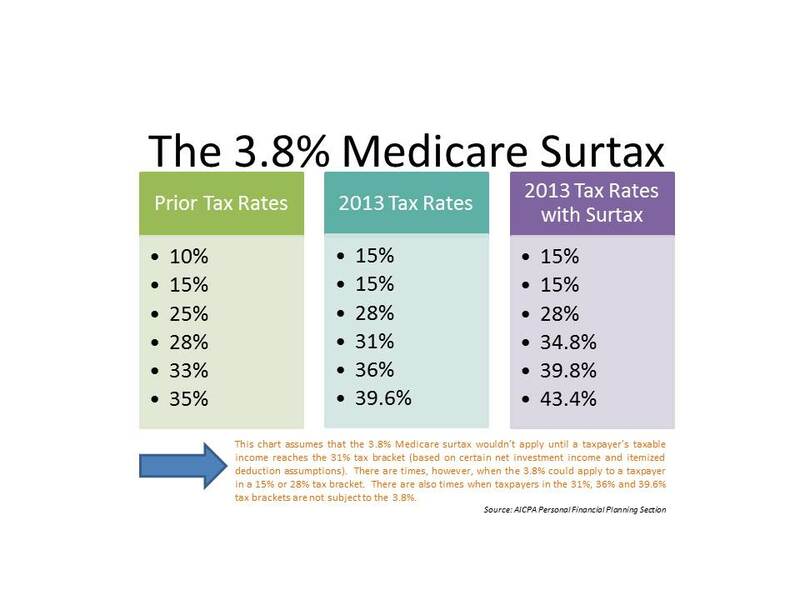 This results in a high-income earner’s share of Medicare payroll taxes increasing from 1.45% to 2.35% of all wages. This includes self-employed individuals who exceed the thresholds. Moreover, beginning in 2013, high-income households are subject to a new 3.8% Medicare tax on net investment income, also referred to as “unearned income.” The Treasury Department’s definition of unearned income includes capital gains, dividends, interest, annuities, royalties and rent received. It also includes income derived in the ordinary course of a trade or business if that activity is passive for the taxpayer. “Net investment income” does not include tax-exempt interest from municipal bonds or municipal bond funds, withdrawals from retirement plans, or payouts from traditional defined-benefit pension plans or annuities that are part of retirement plans. Life insurance proceeds, veterans’ benefits, Social Security benefits, and income from S corporations or partnerships in which you actively participate are also exempt. Note that it is perfectly possible for a taxpayer to be subject to the Medicare investment tax and not the Medicare payroll tax in circumstances where wages fall below the threshold but net investment income increases MAGI above the threshold. Also take note that if you’re married and each spouse earns less than the stated individual threshold amount, but your total earned income combined exceeds the married filing jointly threshold, your employers won’t take your spouse’s income into consideration when figuring your Medicare tax withholding; they are only obligated to withhold 1.45% for Medicare tax. This means that you will owe the additional 0.9% on the amount by which you and your spouse exceed the combined income threshold. If you fall into that bracket, you should find out if you are potentially required to make estimated tax payments or if you should increase your withholding to cover this additional tax. Keep in mind that taxpayers in the lower marginal bracket will qualify for the 15% rates in qualified dividends and long-term gains. However, taxpayers in the top marginal bracket of 39.6% (individual filers with incomes above $400,000 and couples above $450,000) pay a 20% long-term capital gains and qualified dividends rate plus the 3.8% Medicare surtax. There are other items these taxpayers need to consider, and therefore, it’s imperative to strategize with your tax and financial professionals as soon as possible to help navigate the potential tax consequences they are facing. We would be happy to help you in this capacity. Now, on to the fun stuff – how to reduce or eliminate your tax burden if your income is above the stated thresholds. If you’re still working, reducing MAGI can be difficult, but one strategy is to maximize your qualified retirement plan contributions via your pre-tax wages. This is a great way to reduce your income if you’re close to the threshold while also building your tax-free retirement assets. Likewise, small business owners with 401(k) plans should consider contributing more to the plan, and if none exists, serious thought should be given to establishing a plan. As discussed above, qualified distributions from 401(k), 403(b), IRAs, tax-sheltered annuities, and eligible 457 plans as investment income are not subject to the tax. They do, however increase MAGI in the year of distribution. So, if you expect to be close to the MAGI threshold when you begin taking minimum required distributions, you might consider the effect future taxable distributions will have on your exposure to the tax. A review of your particular situation may reveal that it would be better for you to contribute to a Roth (if you qualify to do so) since Roth investment income isn’t taxed immediately, nor is it taxed when it’s distributed (provided you have met the requirements). As for coming up with a strategy concerning your net investment income, taking a look at municipal bonds or municipal bond funds might be worthwhile. But, municipal bonds are subject to their own specific risks as some municipalities continue to struggle with their fiscal situations. Indexing strategies or buy and hold strategies and tax loss harvesting may be especially useful as tax rates have crept higher. Also, focusing on entities paying qualified dividends can also alleviate some of the tax burden. For instance, the income produced by a corporate bond could be subject to a nearly 43.4% tax rate for those in the highest bracket. However the qualified dividend income generated from that same company’s common or preferred stock would be subject only to a 23.8% tax rate. In very specific situations, it may also be useful to hold taxable interest investments or non-qualified dividend-paying investments in tax-deferred IRAs or tax-deferred annuities. Moreover, in rare cases and depending on your specific situation, permanent life insurance where the cash value isn’t considered net investment income when withdrawn may also make some sense. We would not suggest employing these particular strategies without a full review of your precise situation. Thanks so much for your question, Christine. There are some complex planning challenges with this new tax, but with help from a qualified tax and financial advisor, you should be able to execute a well-designed plan that could reduce the potential impact of this new tax. Rollins Financial and Rollins & Associates would be happy to review your particular situation and devise a unified tax and investment strategy for you. Let us know how we can help! We encourage our clients and readers to send us questions for our Q&A series at contact@rollinsfinancial.com. And as always, we hope you will keep Rollins Financial in mind when seeking professional advice on financial planning and investing. As we are rapidly making our way through 2013, we wanted to take this opportunity to remind our readers about some of the ways that you can contribute toward your retirement savings and the increased limit amounts for each of these vehicles. One of the most popular and powerful retirement savings tools available to you is the individual retirement arrangement, or IRA. There are two major types; the traditional IRA and the Roth IRA. Both types of IRA allow you to contribute as much as $5,500 in 2013. And if you are age 50 and older, the law allows you to make an additional “catch-up” contribution of $1,000. So, for our taxpayer audience that is 50 and older, you can contribute a total of $6,500 in 2013. The only catch is that you must have at least as much taxable compensation as the amount of your IRA contribution and you must be under age 70½. If your taxable compensation for the year is below the maximum contribution allowed, you can contribute only up to the amount that you earned. But if you are married filing jointly, your spouse can also contribute to an IRA even if he or she does not have taxable compensation (provided you have enough). For the purpose of IRA contributions, taxable compensation includes wages, salaries, commissions, self-employment income, and taxable alimony or separate maintenance. Other taxable income, such as interest earnings, dividends, rental income, pension and annuity income, and deferred compensation, does not qualify as taxable compensation for this purpose. Your contributions to a traditional IRA may be tax deductible on your federal income tax return. This is important because tax deductible (pretax) contributions lower your taxable income for the year, saving you money in taxes. If neither you nor your spouse is covered by a 401(k) or other employer-sponsored plan, you can generally deduct the full amount of your annual contribution. If one of you is covered by such a plan, your ability to deduct your contributions depends on your annual income and your income tax filing status. You are considered covered by an employer-sponsored retirement plan (i.e. a pension or 401(k) plan) if you were covered by such a plan for even one day during the year, even if you elected not to participate. We would be happy to help you determine if your contribution will be deductible. If you are unable to make a deductible traditional IRA contribution, you should consider whether you qualify to contribute to a Roth IRA. While your contributions are made with after-tax dollars, and therefore are not deductible, if you meet certain conditions, your withdrawals from a Roth IRA will be completely income tax-free, including both contributions and investment earnings. 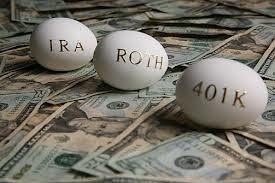 The same rules apply as far as the taxable compensation requirement (see above) and the contributory limits ($5,500 or $6,500 depending on your age) but you are allowed to make a Roth IRA contribution even if you are over age 70½. There are, however, strict income limitations that prevent most higher-paid taxpayers from being able to contribute to a Roth IRA. Again, we can help you determine if you qualify. Even if your contribution is not determined to be deductible, making a non-deductible contribution is still an excellent way to force retirement savings. Since the contribution would be on an after-tax basis, when your contribution is withdrawn, it will not be taxable. Both the traditional and Roth IRAs feature tax-sheltered growth of earnings and allow a wide range of investment choices, making them excellent selections for retirement savings vehicles. In addition to an IRA, most taxpayers also receive the benefit of a qualified employer-sponsored retirement plan associated with their job. For these qualified plans, you may defer up to $17,500 (or 100% of your eligible compensation, whichever is less) of your earnings in 2013. And for our audience over age 50, there is an allowable “catch-up” contribution of an additional $5,500 for a total maximum deferral of $23,000. This is a significant amount of money that can be invested into your plan and should not be overlooked. If you elect to participate in this “catch-up” option (we definitely recommend you do so if you are financially able), you will need to make sure that your human resources or payroll department is aware that you want to participate. In our experience, because this election is not automatic when you reach age 50, this provision is often missed. The deferrals that you elect to have taken from your paycheck may be on a pre-tax basis or a post-tax basis (if your plan has a Roth feature.) If offered, Roth contributions may be considered in lieu of pre-tax deferrals if you will not benefit from the tax savings associated with regular contributions. Either way, you have the potential to set aside a significant sum of money that will grow tax deferred until you reach normal retirement. Most employer-sponsored plans also offer an incentive to participate, such as a discretionary matching contribution. It is important to pay attention to this additional benefit, if offered by your plan, as it can be a very effective way to assist in maximizing your retirement benefits in addition to being a lucrative opportunity to further grow your money without contributing your own funds. Even if you are contributing to a 401(k) or other retirement plan at work, you should consider also investing in an IRA. Also noteworthy for 2013, the new lifetime gift and estate tax exclusion and generation-skipping transfer tax exemption is $5,250,000 and the annual gift tax exclusion is $14,000 per donor. Keep in mind that the annual gift tax exclusion is per donee. So, if you are married, you and your spouse together may gift up to $28,000 per donee. This can be an effective way to reduce your taxable estate. The deadline to make your 2013 contribution is the tax filing deadline of April 15, 2014. In fact, many individuals making IRA contributions wait until the tax filing deadline to make their contributions each year. However, we suggest making an effort to get your contribution made at the beginning of the year. The S&P 500 stock index has produced positive returns in 72% of the calendar years going back to 1928. This means that many of those late deposits are missing out on the prior year’s earnings and could cost an investor $15,000 or more over the course of 20 years. Our goal in this post is to make our readers aware of the increased amounts that can be contributed to various retirement saving vehicles for 2013. Even though we are already nearing the end of July, there is still time to maximize your personal contributions if you have not done so already. As always, we would be happy to provide a complimentary review of your financial and tax situation if you are unsure if you are maximizing your benefits or if would like assistance in determining the best retirement vehicle for your individual financial situation. 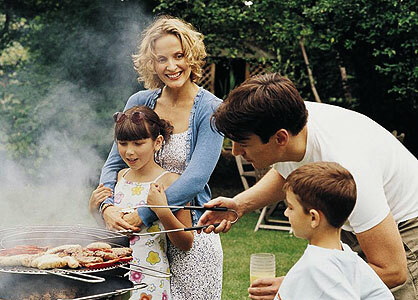 We hope that all of you have found time to enjoy a little R&R over these summer months. Unfortunately, here in Atlanta, it has rained virtually every day and is now being referred to as the “Seattle of the South.” Although the rain may be refreshing every now and then, I would prefer that the golf courses actually have the opportunity to dry out at least once this summer. Many of you may not have noticed that on Friday, July 19, 2013 the S&P was up an astonishing 20% for the year. What is even more remarkable is that index is up a full 6.2% for the month of July alone, which only included 14 trading days. For the 12 months ended July 19, 2013, the S&P is up 25.71%, the Dow Jones Industrial Average is up 23.32%, and the NASDAQ Composite is up 20.96%. A good indicator of a strong market is that the smaller cap stocks are actually outperforming the large-cap stocks. The S&P Mid-Cap 400 Index is up 31.92% for the 12 months ended last Friday, July 19, 2013, and the Russell 200 Small-Cap Stock Index is up most amazingly 32.86%. Needless to say, no one can predict what will happen for the rest of the year, but we need to be thankful for how well the market has performed thus far. As much as I hate to interrupt your summer fun, I found it impossible to let such an important occurrence pass by without recognition. As these markets go up, you are building wealth to help ensure that your retirement years will be sound and secure. Given the aforementioned numbers, I can’t help but wonder how the investors that decided to keep their money in cash feel about that decision now. From an investment standpoint, a phrase I hear more than any other is, “I do not want to invest until the market comes down.” By virtue of waiting, you have missed a run of over 25% for the last 12 month period. Those potential investors that have been sitting on cash, money markets, or CDs have missed out on a great opportunity to accumulate wealth. We would love the opportunity to sit down with you and discuss how to best utilize your uninvested cash in order to prepare for your future investment needs. While certainly everyone is anxious about investing cash in a market that has already gone up a great deal, the opportunity to invest in dividend stocks or other types of investments may calm your jittery nerves. As always, the foregoing includes my opinions, assumptions and forecasts. It is perfectly possible that I am wrong. Sylvia, a reader with a large estate, is looking for alternative estate planning techniques. Q: I have been fortunate enough to accumulate a fair amount of wealth in my life. My health has been a concern lately, and I need to reevaluate my estate plan. I have two adult children and six grandchildren. Do you have any suggestions? A: Sylvia, I’m sorry to hear about your health concerns. Financially speaking, reevaluating your estate plan at the current time is a smart thing to do, especially if the value of your estate is over the $5.25 million estate tax threshold for 2013 ($10.5 million for married filers). As an initial suggestion, it’s probably best for you to meet with your tax and financial planner to obtain a tailored strategy that meets your specific needs. We’re happy to help you devise a plan that makes the most sense for your particular asset situation. In the meantime, I’ll go over one estate planning tool that’s been gaining a lot of attention lately (one that Joe Rollins touched on back in early 2011) concerning 529 plans. Considering you have grandchildren, and depending upon the value of your estate, this tool could be especially useful to you. First, anyone can establish a 529 plan for their child or grandchild – or any other loved one, for that matter – to help pay for college. Doing so not only benefits the designated beneficiary – it also benefits your loved ones because it removes money from your taxable estate, which will help you minimize your tax liability and preserve more of your estate after you die. We always suggest that the 529 account be established in the contributor’s name, not the designated beneficiary’s because the assets won’t factor into the child’s financial aid application at all if it’s set up this way. This is because the contributing relative – not the parents or the child – “owns” the account, with the child named as beneficiary. Also, the contributor maintains control of the assets if he or she is listed as the account owner. This means that you can contribute up to $14,000 per year (the annual gift tax exclusion amount) to the 529 account of any beneficiary without incurring federal gift tax. Keep in mind that state tax treatment may differ from federal tax treatment. What if you contribute over $14,000 in a year? Section 529 plans offer a special gifting feature which allows you to make a lump-sum contribution of up to $70,000 ($140,000 for married couples) in a year and then spread it evenly over five years to completely avoid federal gift tax, provided no other gifts are made to the same beneficiary during the five-year period. How are gifts from grandparents handled? When contributing to someone’s 529 account who is more than one generation below you (a grandchild, for example), it’s important to keep in mind the federal generation-skipping transfer tax (GSTT). The GSTT is a tax on transfers made during your life and at your death to someone who falls under that umbrella, and it is imposed in addition to (not instead of) federal gift and estate taxes. There is a GSTT exemption, however, and it is the same as the basic gift tax exclusion amount ($5,250,000 in 2013). And, your GSTT will not be due until you’ve used up your GSTT exemption. Likewise, no gift tax will be due until you’ve used up your applicable exclusion amount. There are no federal tax consequences if your contribution to your grandchild’s 529 account is $14,000 or below and you haven’t made any other gifts to your grandchild during the year. If your contribution is greater than $14,000, like the special gifting feature discussed above, you can elect to spread the additional contribution amount evenly over a five-year period. Only the portion that causes a federal gift tax will also result in a GSTT. What happens if a 529 account owner dies? Depending on the terms of the particular state’s 529 plan, it is possible for a contingent account owner to be named in the event of the original account owner’s death. Alternatively, some states allow account ownership to pass directly to the designated beneficiary. In any event, if the 529 account owner dies, the account value usually isn’t included in his or her estate, and the value of the account is instead included in the designated beneficiary’s estate. If you made the five-year election, however, and died prior to the expiration of the five-year period, then the portion allocated to the year(s) after your death would be included in your federal gross estate. You should definitely review your state’s rules so you know how your 529 account may be taxed at your death for state purposes. What if a 529 account beneficiary dies? You must look to the rules of your 529 plan if the designated beneficiary of the 529 account you own dies, but typically, the account owner still maintains control of the account and he or she would be able to name a new beneficiary or withdraw the assets from the account. In the latter case, the earnings would be taxable, but there would be no termination penalty. Also, bear in mind that the 529 account balance may be included in the beneficiary’s taxable estate. Sylvia, thanks again for your question. Thoughtful planning now through this powerful estate planning vehicle can help remove a considerable amount of money from your estate while still leaving you in control of your assets. We wish you many happy, healthy years with your loved ones, who will assuredly be grateful for everything – both tangible and intangible – you’ve provided to them. I have some very good results to report as we move into the second half of 2013. That being said, the quarter was very volatile and we must analyze the negatives along with the positives in order to obtain a full understanding of everything that happened during the quarter. Nevertheless, the results were quite impressive. While almost all of the financial markets posted negative results for the month of June, the second quarter results and the results for the first six months of 2013 were excellent. For the quarter ended June 30, 2013, the S&P Index of 500 Stocks had a return of 2.9%. For the year, that index recorded a return of 13.8%. The Dow Jones Industrial Average was up 3% for the quarter and 13.3% for the first six months of the year. The NASDAQ Composite was up 4.5% for the quarter – the best return of the indices – and its return for the first six months was 13.4%. The Russell 2000 small-cap index was up 3% for the quarter and its return for the first half of 2013 was 15.8%. The first half of 2013 was the best first half of a year for the financial markets since 1999. As you may recall, the S&P 500 wound being up an amazing 21% for the 1999 year. We can only hope for a return of 21% for 2013, although that’s not likely to happen. Although none of us can forecast exactly what will happen for the rest of the year, we must concede that the first half was quite remarkable. The real story during the first half of 2013 was the absolute turmoil in the bond market. For the second quarter of 2013, the Barclays Aggregate Bond Index was down 2.6%, and coincidentally, the Barclays was also down 2.6% for the first six months of 2013; for the last year, it’s lost 1.1%. It’s very unusual to see the bond market take such a big hit over such a short period of time. Investors buy bonds expecting to not get much upward appreciation and instead look for stability and the small coupon that bonds pay. Rarely, however, do bonds take such a big hit when the other financial instruments are doing well. This supports our philosophy for diversification. No one can tell exactly what the future will bring, and I certainly wasn’t one who forecasted bonds taking such a big during this three-month period. For the quarter ended June 30, 2013, the U.S. equity markets were the only safe haven. Almost all of the international funds traded on the downside except the Japanese-related funds, and the emerging markets were particularly hard-hit. Likewise, nearly all high quality bonds had a negative return for the 2nd quarter; even the low quality high yield bonds were negative in the 2nd quarter – although some etched out a small profit for the six-months ended. Most surprising to me was the municipal bond market, which took a tremendous hit this quarter; almost all municipal bonds traded negative for the six-months ended June 30, 2013. Undeniably, this has been a very unusual year so far. As I have discussed before, the Fed has been purchasing $85 billion in bonds per month in an effort to keep interest rates low and encourage improvement in the housing market. In many respects, they have succeeded with the housing market rebounding in the United States with extraordinarily low interest rates. 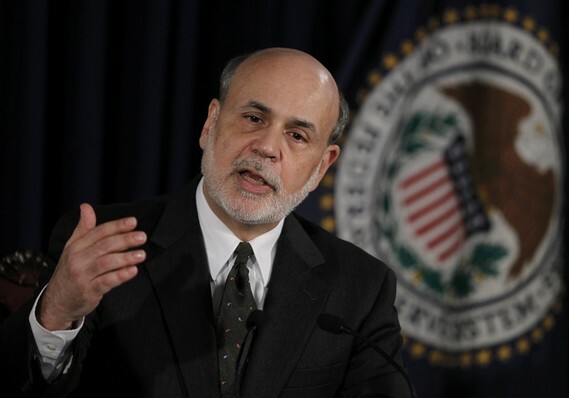 On June 19, 2013, Fed Chairman Bernanke indicated that if the economy continued to improve, the Fed would start “tapering” their purchases of these bonds later this fall. Almost immediately, the equity and bond markets suffered an extraordinary loss: the DJIA lost over 700 points in less than a week’s trading time; the 10-year Treasury spiked from 2.2% to 2.6% almost overnight; and 30-year mortgages jumped from less than 4% to the mid-4% level almost overnight. Why did these significant moves occur over such a short period of time for what, in my opinion, wasn’t unexpected news from Bernanke? You must ignore almost everything you know about investing to understand speculation. The hedge fund industry – a huge investor in the U.S. equity markets – must work on the margin to be successful. They have proven that they cannot invest money any better than a top quality mutual fund. Therefore, the only way they can succeed and bring value to their investors is to push the envelope. When the market is down, they can improve their returns by forcing it down even further. When it’s on the upside, they have to get an advantage either by borrowing money and investing it or finding some niche in the market they can exploit. Since interest rates have been next to zero for several years, hedge funds have made a ton by borrowing money at a very low rate to buy high yield bonds and reporting the difference. This is fairly easy when you can borrow at one and invest at six, and earn a rate of return for the difference. However, that advantage also comes with immediate risk. If interest rates were to suddenly increase, you would suffer losses on the debt and investment sides since you have leveraged the investment. This could be catastrophic for a highly leveraged hedge fund if interest rates were to move quickly. When Bernanke announced the Fed would likely begin tapering their purchases, the hedge funds had a “taper tantrum.” Anticipating that interest rates would invariably go up, the hedge funds suffered an immediate liquidation of close to $80 billion in high yield bonds almost overnight. This mass liquidation of bonds created havoc in the equity and bond markets over a relatively short period of time. Fortunately, the Fed members announced the following week that tapering was not inevitable and would only occur if the economy continued to improve (which is exactly what Bernanke said in his conference on June 19th). After that explanation, the markets rallied some, although it still left virtually all equities and the bond market in losses for the month of June. At Rollins Financial, we do not invest for the short-term, and we understand that market volatility is part of the game. While it’s interesting to understand why things happen, it’s more important to be able to rejoice in the results. It would be crazy for me to report that the second half of 2013 will be as excellent as it was during the first half. While we’d all love for that to be the result, it would be foolish to forecast a return as good as we’ve enjoyed thus far in 2013. However, I also do not see a major downswing in the coming months. The economy, undoubtedly, is somewhat better than it has been over the last few years. Even though the most recent quarter was reported at an anemic 1.8%, it continues to at least be positive. It appears to me that the 2nd quarter of 2013 will come in very near that 1.8% level, and therefore, it doesn’t appear that the economy is moving at an uncontrolled pace to the upside. Inflation continues to be mild at 1%, and corporate profits continue to be excellent. There is no question that corporate profits are decelerating, but they continue to be at all-time highs and are still growing, even if at a modest pace. With the large hit that the bonds suffered in the second quarter, I believe that we’ve already seen the worst. I anticipate for bonds to continue improving as the year progresses because interest rates are still very low and the economy is not accelerating at a quick pace. As such, it’s too late to sell out of your bond funds and they are still required for diversification purposes in almost all portfolios. The housing market has unquestionably vastly improved, and this positive news is evident in almost every segment of the market. As the housing market picks up, it will help improve the rest of the economy since so many segments of that market affect our economy on the whole. What do I see happening over the rest of this year, and what should you to expect to earn in your portfolios? I must reemphasize that almost all interest-bearing certificates are earning next to nothing, a complaint that we hear from investors on almost a daily basis. Unfortunately, some investors continue to hold assets in cash earning zero, even when very conservative financial instruments can earn close to 4%. To a large degree, this period of low interest rates, in my opinion, will force the market higher. With inflation under control, the economy not going gangbusters and real estate improving, I see corporate earnings continuing on a positive track. Even with the huge drain on the GDP from higher taxes in 2013, the economy continues to operate above break-even. Although Congress did everything they could to mess up the budget, sequestration has forced them to cut federal spending, and for the first time in over a decade, the federal deficit is actually falling. Hopefully sequestration will continue, and Congress – against its will – will be forced to continue to cut spending. All of that said, I anticipate the markets to earn between 4% and 7% for the rest of 2013. The best markets in the world continue to be the U.S., and the correction in the bond market has already occurred. If you anticipate the markets continuing to earn at the aforementioned levels, why would you do anything other than invest for your future? In observance of Independence Day, the offices of Rollins Financial and Rollins & Associates will be closed on Thursday, July 4th and Friday, July 5th. If you require immediate assistance on Thursday or Friday, please contact Joe Rollins at 404.372.2861 or jrollins@rollinsfinancial.com. Our office will re-open for business on Monday, July 8th at 8:30 a.m. 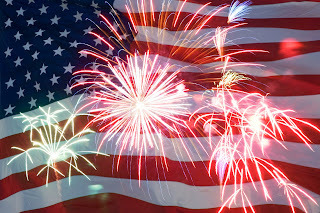 Please be safe, and have a happy holiday weekend! 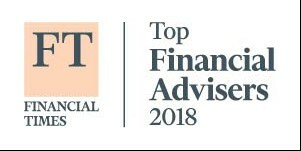 Rollins Financial Ranked #20 Among Top 100 Fee-Only Wealth Management Firms in U.S.
Rollins Financial, Inc. is an SEC registered investment advisory firm that was established in Atlanta, Georgia in 1990 by Joseph ("Joe") R. Rollins. Joe along with partners Robert ("Robby") E. Schultz, III and Edward ("Eddie") J. Wilcox offer independent investment management services for individuals, small businesses and corporations. Rollins Financial employs various investment strategies depending on the specific objectives of each client. Our independence insures that we are able to provide the most objective investment advice since we receive no compensation from any third parties. Please visit www.rollinsfinancial.com or email us at contact@rollinsfinancial.com to find out how Rollins Financial can become your partner to help you Plan for your tomorrow, today. The information provided on the Rollins Financial Blog is for general informational purposes only and is not intended to be a substitute for specific individualized tax, legal or investment planning advice. The type of securities and investment strategies mentioned may not be suitable for everyone. Each investor should review a security transaction and investment strategy for his or her own particular situation. Data contained herein is obtained from what are considered reliable sources. However, its accuracy, completeness or reliability cannot be guaranteed. Where specific advice is necessary or appropriate, consult a qualified tax advisor, CPA, financial planner or investment manager.